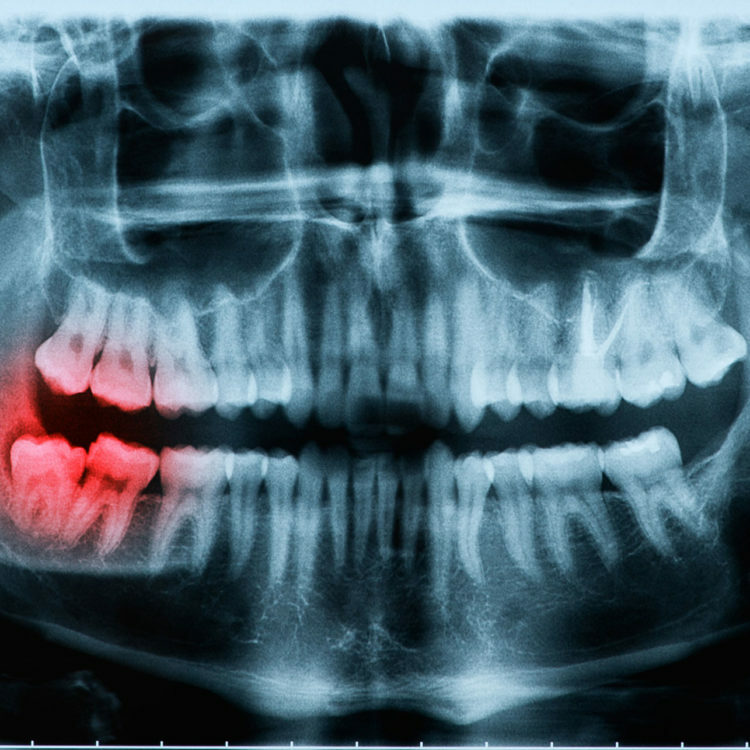 It is estimated that 85% of the adult population does not have adequate space for the normal eruption of wisdom teeth. Routine early examination and intervention by an oral and maxillofacial surgeon is indicated between the ages of 14 and 25. If you or your child requires the removal of wisdom teeth, you will come to our office for a consultation first. Our oral surgeon will meet with you and review your medical and dental history, X-rays, and complete an oral examination. If 3D scans or additional X-rays are needed, they can be taken at this time as well. If you have any questions about your upcoming procedure, your consultation is the ideal time to ask. Your second appointment to our office will be for your surgical procedure. In most cases, the removal of wisdom teeth is performed with IV (intravenous) and local anesthesia. As experienced oral surgeons, our doctors are highly trained in the extraction of wisdom teeth, including the safe administration of anesthesia. Roanoke Oral Surgery offers several options for anesthesia to keep you comfortable during your procedure. Your anesthetic options will be discussed during your consultation. Once the teeth are removed, the gum may be stitched. To help control bleeding, you will bite down on gauze placed in your mouth. You will recover under our supervision until you are ready to be taken home. Upon discharge, your postoperative kit will include after-care instructions, a prescription for pain medication, and a prescription for antibiotics if needed. Following removal of wisdom teeth, our oral surgeon will send you home to recover. Recovery typically takes a few days. Follow our pre & post-surgical instructions list below to help minimize discomfort, reduce the risk of infection, and help with a speedy recovery.